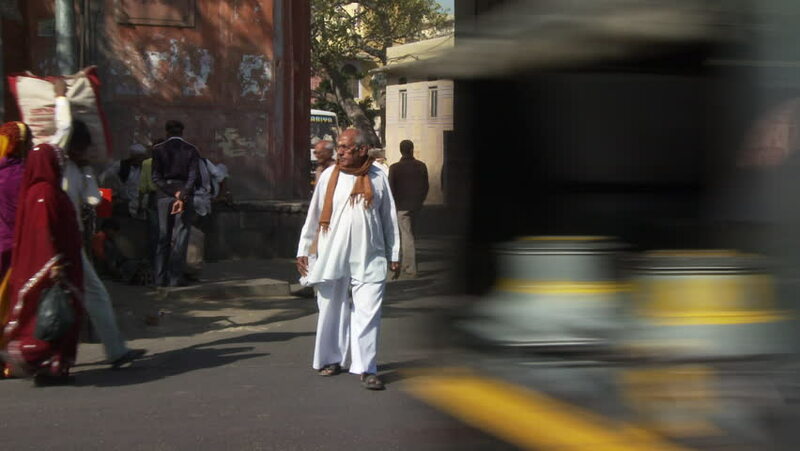 India - CIRCA 2013 - Man crosses the street in a central area of an Indian town. hd00:07Africa, Nigeria, Imo State. December 8, 2009. Low angle shot of mainly women and children attending church service in Nigeria, wide shot towards exit showing two rows of attendees. hd00:07MEDINA - MARCH 06 : Pilgrims walk in and out from Babussalam entrance at Nabawi Mosque on March 06, 2015 in Medina, Kingdom of Saudi Arabia. Nabawi mosque is the second holiest mosque in Islam.